Expert Meeting on Cultural Heritage in Asia and the Pacific: Cultural Heritage in East Asia: What can we find and share through international cooperative activities for protecting cultural heritage? From March 4 to 6, 2010, we held the Expert Meeting on Cultural Heritage in Asia and the Pacific at the National Research Institute for Cultural Properties, Tokyo, entitled “Cultural Heritage in East Asia: What can we find and share through international cooperative activities for protecting cultural heritage?” A total of 63 experts in the field of conserving cultural heritages got together from the China National Institute of Cultural Property; the National Research Institute of Cultural Heritage, Korea; the DunHuang Academy; the UNESCO Beijing Office; the UNESCO Asia-Pacific Region Training Research Center; the Nara National Research Institute for Cultural Properties; and the National Research Institute for Cultural Properties, Tokyo. They discussed the current status and future of international cooperation in cultural heritage protection activities. 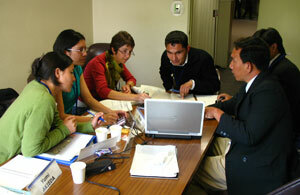 The discussed how research organizations can have international cooperation. We were able to share various experiences and information, such as details of cooperative research and operations conducted by the research institutes, mutual cultivation of talent, and standardization of documentation of cultural heritage. This was the first opportunity for us to have a deep exchange of opinions for more than 20 hours at a meeting of experts like this. We developed a relationship with the research institutes. 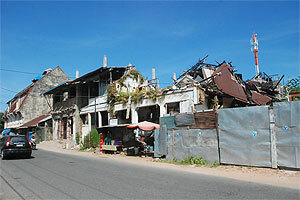 In addition, it can be said that we have made a start toward planning future projects and obtaining concrete results. 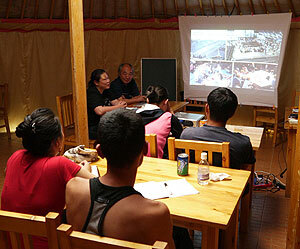 We dispatched four experts from Japan from August 18 to 29 as part of the Networking Core Centers Project in Mongolia and held a training workshop on the conservation and restoration of wooden buildings at the Amarbayasgalant Monastery in northern Selenge Province. 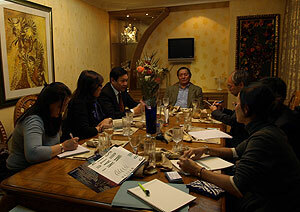 This was the second workshop in 2009 jointly planned by the National Research Institute for Cultural Properties, Tokyo, and the Ministry of Education, Culture and Science of Mongolia. 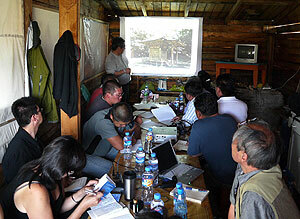 The purpose was to contribute in capacity building for the conservation and repair techniques of wooden buildings in Mongolia. 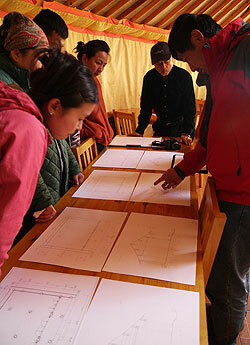 The workshop allowed students of the Architecture Department of the Mongolian State University of Scientific Technology to learn about the preliminary surveys needed for conservation/repair and design, and basic methods of drawing a plan as based on site survey. 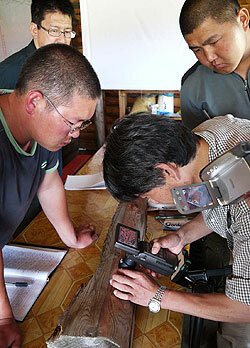 In classroom lectures the students learned the methods of repairing and surveying the buildings of cultural heritage in Mongolia and Japan, and in field practice they measured the buildings of Amarbayasgalant Monastery. 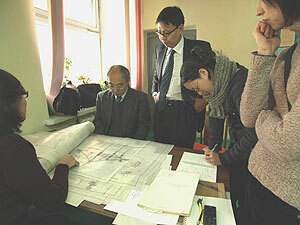 Japanese temple/shrine master carpenter who had been dispatched by UNESCO as instructor during the repairs of the Monastery in the 1980s also participated to this training, so that the students could receive practical training on concrete methods of survey, drawing, and planning. Although it was the first time for the students to survey a historic wooden building by actually touching it, the lecturers could see that through the training process their view about buildings was being formed by on-site experience. In Mongolia, where there are few experts majoring in the conservation of cultural heritage buildings, we believe that the students have demonstrated the potential capacity of the future of the conservation of wooden buildings. We participated in the international training workshop Conservation for Peace – World Heritage Impact Assessment: Series Control and Conservation of World Heritage, which was held by the Hiroshima Office of United Nations Institute for Training and Research (UNITAR), from April 19 to 25, 2009 as part of a study on the applications of international training. Hiroshima Prefecture sponsored the sixth training session this year, and the UNESCO World Heritage Centre, Getty Conservation Institute, the International Council on Monument and Sites (ICOMOS), and the International Union for Conservation of Nature (IUCN) sent lecturers. Forty two speakers participated from 23 countries, mainly persons working in management, administration, and research organizations of world heritage sites (natural and cultural heritage) in the Asia-Pacific region. 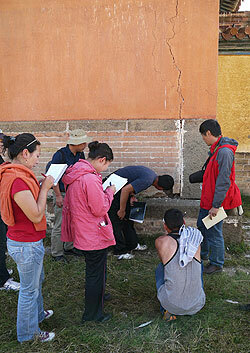 The training consisted of three sessions: a classroom lecture, an on-site inspection, and group work. We heard lectures on management and were able to understand the importance of world heritage (natural and cultural heritage) and impact assessment. Then we visited the World Heritage Sites in Hiroshima (Atomic Bomb Dome and Peace Memorial Park, and Itsukushima Shinto Srine and Miyajima), to evaluate issues at the local sites and have the opportunity to apply and compare the cases in different Asian countries. The work was divided into five groups, including heritage that has not yet been registered as a world heritage site, in which participants created a simplified edition of world heritage registration application, emphasizing impact assessment with respect to the value of the heritage. 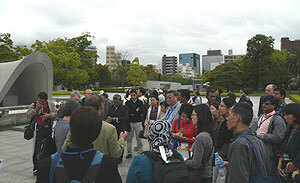 At the round table open to public on the final date, the participants and citizens exchanged opinions on the issues of Hiroshima’s world heritage through discussions. We acquired the specific data on the issues of world heritages in Asia, and also learned the training application method ? using advance preparation to achieve the maximum effect in a short training period, interactive lectures, and the inclusion of the “After Action Review” evaluation method. I participated in the 16th ICOMOS General Assembly held in Québec （Canada） from September 27 to October 4, as a part of research activities on international trends in cultural heritage conservation. 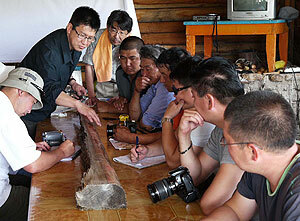 Experts of various fields related to conservation of tangible cultural heritage assembled from around the world. 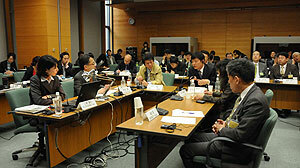 Approximately 20 people from Japan attended making the 2nd largest delegation from the Asia-Pacific region. The theme “Finding the Spirit of the Place” was discussed throughout the whole session, at the General Assembly, during the International Forum for Young Researchers and Professionals, the meetings of the International Scientific Committees (ISCs), the International Scientific Symposium, as well as site visits. The Forum for Young Researchers and Professionals (Sept. 27-28) was a new attempt where young researchers contributed to active discussions. As many as 23 specialized meetings were set for the ISC meetings (Sept. 29) among which I attended five meetings where Japan was little or not represented so far, and calling for greater participation. 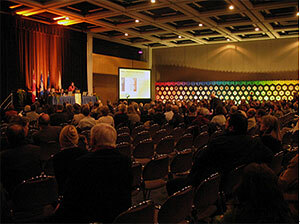 On September 30, the opening of the General Assembly took place. The International Symposium (Oct. 1-2) had four simultaneous sessions set around the theme ‘Spirit of the Place’; various examples of conservation practices from all over the world were introduced along with poster sessions. 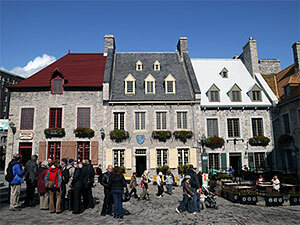 On September 3, the participants divided into seven groups to visit the heritage of Québec, its old city and surrounding sites. 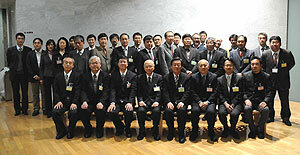 As a result of the General Assembly and the elections, one member from Japan was elected for the Executive Committee and one member was admitted to honorary membership. Throughout these eight days we had valuable opportunities to actively exchange opinions and develop networks further ahead.